At The Carpet Store and More we stock a wide range of Hardwood and Laminate Floors. Hardwood floors offer the unmistakable charm and timeless beauty only found in authentic, real wood. They are never out of fashion and add real value to the home. Semi solid engineered floors represent a combination between the beautiful and distinguished appearance of wooden floors and the versatility and stability of laminates. 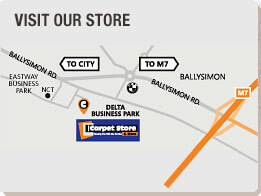 Call into us today to collect a sample and we will answer any questions you have here at The Carpet Store and More.